Interested in our services but not ready to commit? We offer a complimentary 30-minute meeting or phone conversation. Ask us anything so you’ll feel informed before you decide whether you want us to help find and create your style. The best way to start the styling process is to dive right into your closet. We'll come to your home to give your wardrobe a thorough refresh based on your style goals. This entails looking at each item and deciding together whether it should stay or go. Everything that no longer works for you will be sold, tailored, or donated. By the end of the day, your closet will feel like a breath of fresh air. During the time we spend together, your stylist will begin to understand you and your needs, while creating a list of pieces that will complement or replace things you already have. This gives us a frame of reference when we shop for you, so we can bring everything you never knew you needed to make your fashion dreams come true. We all want to look our best, but most of us don't want to spend our precious free time in a crowded department store, trying to find a few great items. As pro stylists, we're well versed in efficent, effective shopping. Hand the job over to us with confidence. You'll be free from scrolling through internet pages and scouring garment racks, trying to decipher what to buy, how to wear it, and whether any of this looks good on you, anyway. After getting to know you, your goals, and your preferences, we will go out and shop for you. This means everything we choose is selected with you in mind. Then we'll invite you to our studio for a fun, easy fitting. No bad lighting or pushy salespeople - just you and your stylist working with clothes that will make you look and feel best. You can keep all the pieces you love, and we return everything that doesn't make the cut. Over time, you'll learn how to put your pieces together to express your style and mood: worrying about what to wear will be a distant memory. Do you feel like you have a closet full of clothes yet nothing to wear? We will come to your home and show you new ways to wear your existing pieces, how to accessorize them, and how you can maximize their potential. This works best after a closet detox, so we’re only working with items you love and love to wear. If you feel your style is already on the right track and we’ve stocked your closet with the pieces to make it come to life, you won’t need a lot more. At the beginning of each season let’s check in to discuss which pieces are missing or need to be replaced, and whether there are any trends you’d like to try. We’ll do a quick round of shopping, bring you new things to try on on and show you how to pair them with what you already own and love. 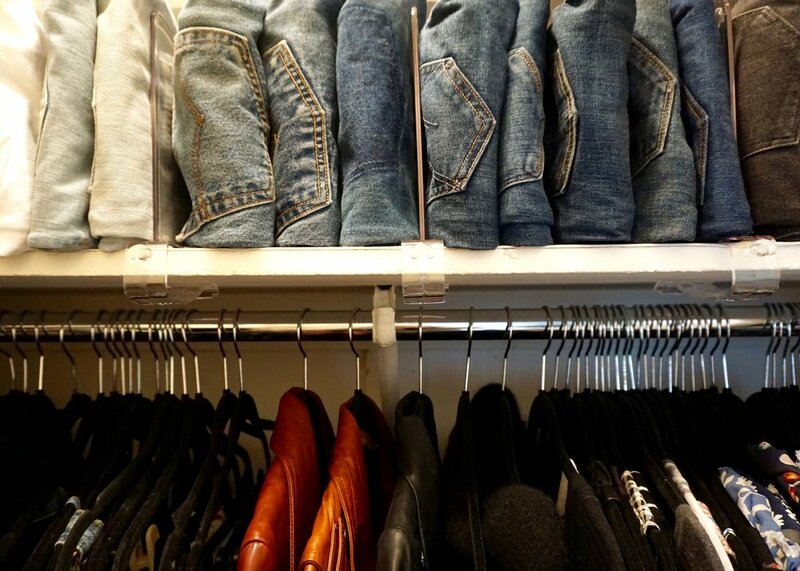 This is a fun and easy way to make sure you’re happy with your wardrobe and make any changes you’d like. We will gather an array of options according to your preferences. You can come try them on at our studio, or we’ll gladly bring them to your home or office. 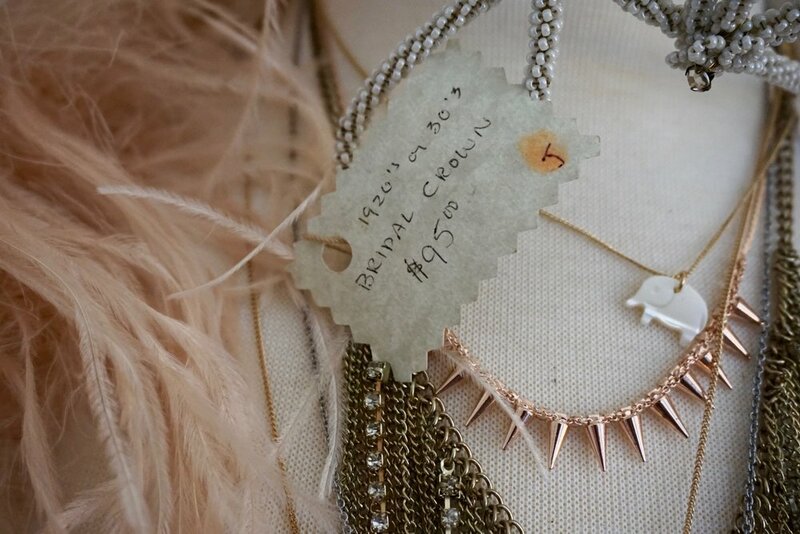 Once you’ve tried on each piece, we'll help you decide on the best choice for the event. We can use shoes and accessories from your closet, or shop for new ones to complete the look. When we're finished, you don’t need to worry about anything but having a good time. Planning a wedding is stressful enough. We can't do it for you, but we can take care of your wardrobe so you can focus on the rest. We would love to come with you to choose what you’ll wear for the wedding itself, but we’ll also create a full look for every event on your calendar: your engagement party, bridal shower, rehearsal dinner, honeymoon and more. We’ll even organize your bridesmaids' looks! We can create a common thread (like color, cut, or fabric) through each look, or mix it up and choose something completely new for every celebration. With our help, you'll have everything you need to look and feel incredible for these special moments. Packing for travel, whether it’s business or vacation, is never fun. We’ll do it for you: shop for new pieces if necessary, and style outfits for each day and night you’ll be away. We make sure to use pieces that can be worn a few different ways to maximize space. When the time comes to pack, you'll have exactly what you need and nothing you don’t. You'll also have a picture of each look to make getting dressed while you're away as easy as possible. The stress of packing will have melted away, and you can be confident that you’ll look your best on your trip.